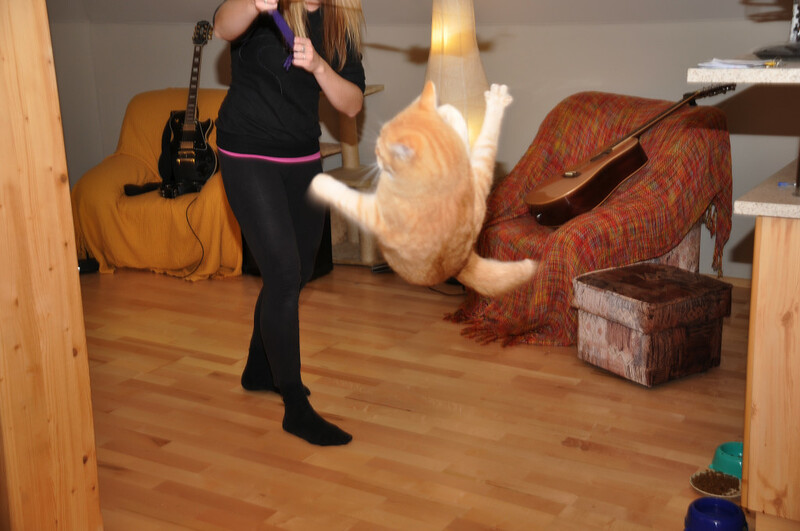 Our cat-sitter Nikol has awesome cat Steve that is popular for his outstanding acrobatic skills and great inteligence. 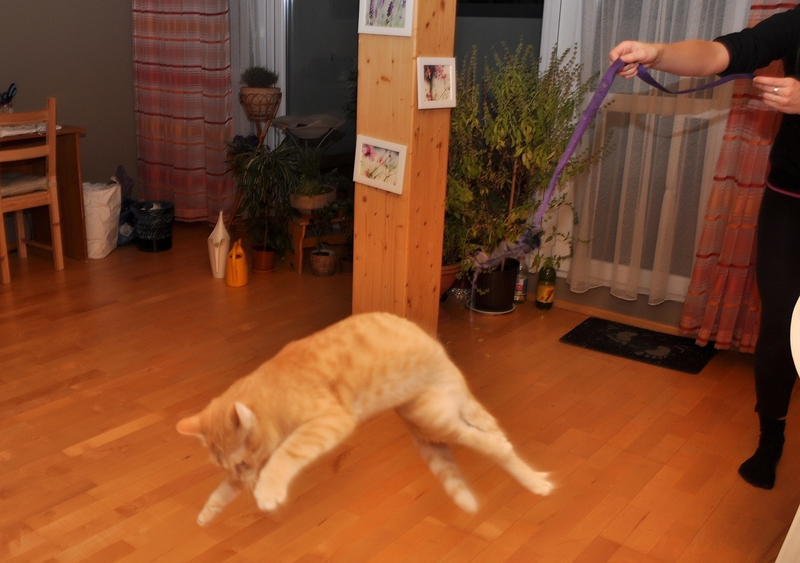 He is keen on high jumping for his toy even more than 1,5 meter! 1. Steve in unbelivable position He almost caught the ribbon! 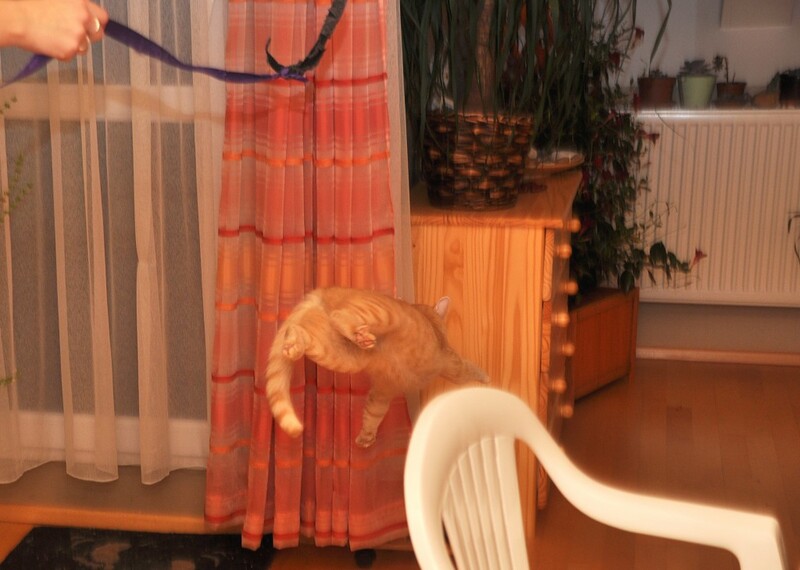 Steve is just little flying cat…! But that´s not all. Steve can also play dead on command! You will laugh for sure!